BREAKING News Out Of Colorado.... LOOK WHAT THIS DEMOCRAT DID! THIS IS INSANE!!! BREAKING News Out Of Colorado…. LOOK WHAT THIS DEMOCRAT DID! THIS IS INSANE!!! 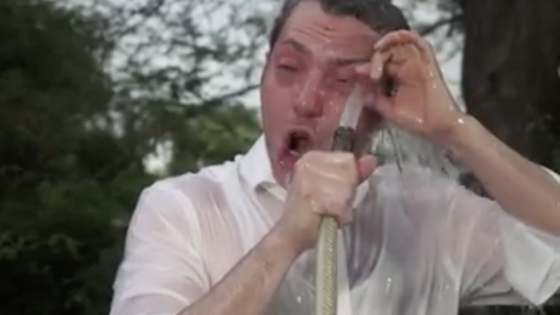 A Democrat congressional candidate pepper sprayed himself in the face in a bid to promote gun control. Levi Tillemann criticized the suggestion to arm school officials and teachers with guns and claimed pepper spray is a better alternative to stop potential school shooters. “I’m calling on Congress to stop talking past each other and try something new,” Tilleman says in the video. “Empower schools and teachers with non-lethal self-defense tools, like this can of pepper spray.” Of course, as most liberals seem to forget, they claim those who are armed won’t actually shoot at a gunman, so what makes him think that those carrying pepper spray would be willing to approach an active shooter and try to hit him the spray? Again, the logic fails when confronted with leftists’ own talking points. Tillemann is trying to woo anti-gun voters in the upcoming party’s primary in less than two weeks, in the blue state of Colorado, according to Fox News, and his latest pepper spray stunt should look like nothing less than the actions of a lunatic to a logical person. “Pepper spray doesn’t cost much and it can be safely stored in a break glass in case of emergency cabinet. But it’s powerful and won’t accidentally kill a kid,” he continued. “Trust me, this will stop anybody in their tracks.” Sure, if you can get close enough through the hail of bullets. The Democrat then proceeded to close his eyes and began spraying the pepper spray in his face. He’s later seen trying to wash off his face by dunking his head into some water and spraying himself with a hose. “It’s incredibly painful, now I can’t see anything,” he said. “Wow, that’s intense.” Tillemann doesn’t compare the “intense” pain to that of a gunshot wound though, so his experiment is less than scientific. It’s an emotional plea and nothing more. Tillemann, a former Department of Energy official during the presidency of Barack Obama, made gun control the key issue of his campaign. He doubled-down on the removal of people’s rights on his website saying that pepper spray, not guns, should be “be made widely available as quickly as possible” for teachers and school officials to combat potential school shooters. “The time has come to move beyond apologies and half measures and fight for real solutions to gun violence in our community. Help us win this fight,” said the guy who literally pepper sprayed himself to prove Democrats are once again, wrong when it comes to self-defense. It looks like it is true that IQs are declining at a rapid rate.